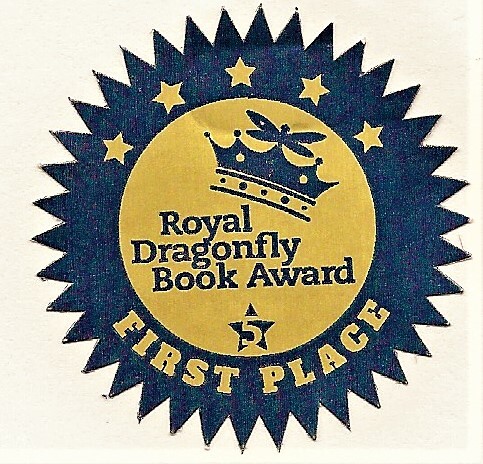 “The Weight of Living” has won FIRST PLACE in the Mystery Category of the 2017 Royal Dragonfly Book Award contest. I am amazed. Thank you to the judges at Royal Dragonfly. “The Weight of Living” is the third Frank Nagler Mystery. They are set in Ironton N.J., and tell of the police work of Detective Frank Nagler, who takes on a range of criminals while he battles his own frailties. 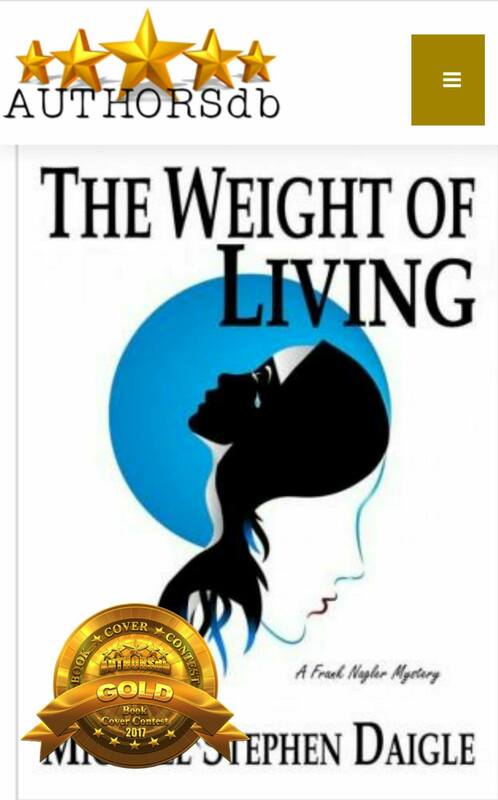 This is second award for “The Weight of Living” this month. The cover of the 2017 book, created by Anita Dugan-Moore of my publisher. Imzadi Publishing of Tulsa, was awarded a Gold Medal in the 2017 cover contest sponsored by http://www.authorsdb.com, a website for authors and readers. OTHER NEWS: My short story, “Who Shot the Smart Guy at the Blackboard,” a smart and sassy whodunit, was released by Imzadi on Nov.24. It is FREE on Kindle Unlimited., and 99 cents otherwise. The Frank Nagler Mystery series is: THE SWAMPS OF JERSEY, A GAME CALLED DEAD, AND THE WEIGHT OF LIVING. A GAME CALLED DEAD was a runner-up in the Shelf Unbound 2016 Best Indie Book contest. This entry was posted in BooksNJ2017, Fiction, Greater Lehigh Valley Writer's Group, Hot in Hunterdon; Georjean Trinkle, Imzadi Publishing LLC, Michael Stephen Daigle, Mystery Writers of America, Sally Ember, www.michaelstephendaigle.com and tagged "A Game Called Dead", "Just Come Home", "The Swamps of Jersey" Imzadi Publishing, "The Weight of Living", Anita Dugan-Moore., Fiction, Frank Nagler, Ironton, New Jersey, Royal Dragonfly Book Award. Bookmark the permalink.